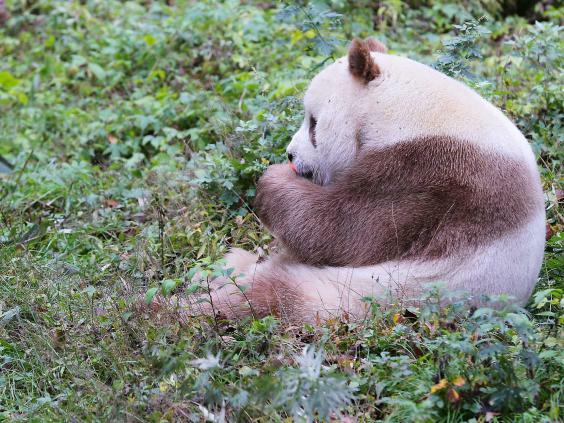 He's not the only brown panda in history - there was also the famous Dan Dan - but Qizai is believed to be the only one currently living in the world today. Qizai, whose name translates as 'seventh son', was abandoned by his mother when he was just two months old. Scientists believe that Qizai's unique colouring is down to a genetic mutation (his mother was black and white). It's unknown whether he was rejected because of his fur coat, because pandas are notoriously bad parents as it is. He was found weak and alone in a nature reserve in Qingling Mountains, Shaanxi province, China. 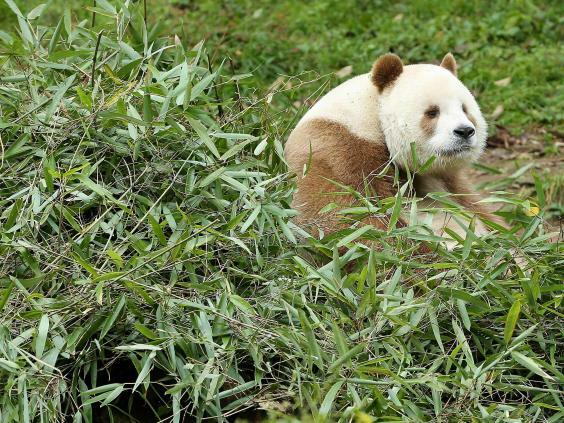 Qizai was adopted by the Foping Panda Valley, where he was bullied by other pandas who would steal his food. But now, at age seven, he's thriving. In fact, in the manner of most cute internet pandas, he's become something of an animal celebrity. He has a dedicated carer who looks after him for up to 18 hours a day, and manages his eating schedule: the 100kg-bear eats around 44 pounds of bamboo a day. He also likes milk and flour buns. The keeper, 26-year-old He Xin, told the MailOnline that Qizai is slower than other pandas, "but he is also cuter". He Xin described the pada as "gentle, funny and adorable". The animal sanctuary is currently looking for a mate for Qizai. Qizai is slower than other pandas, "but he is also cuter". He Xin described the pada as "gentle, funny and adorable". 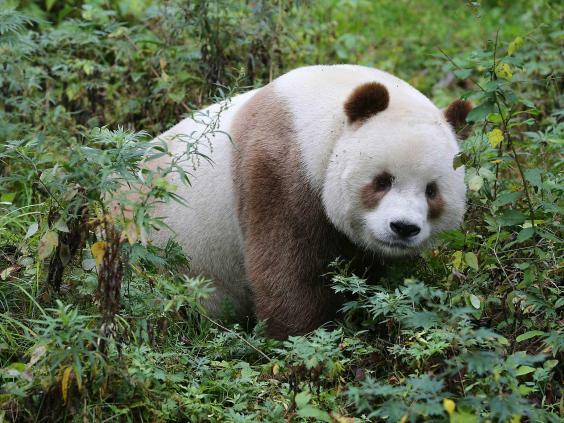 the only brown panda in the world.